After a hiatus of almost three years, Liam Neeson, undoubtedly one of the most remarkable action stars in Hollywood, finally appeared in another solo action movie. The last action thriller he starred in was Run All Night, which was released back in 2015. 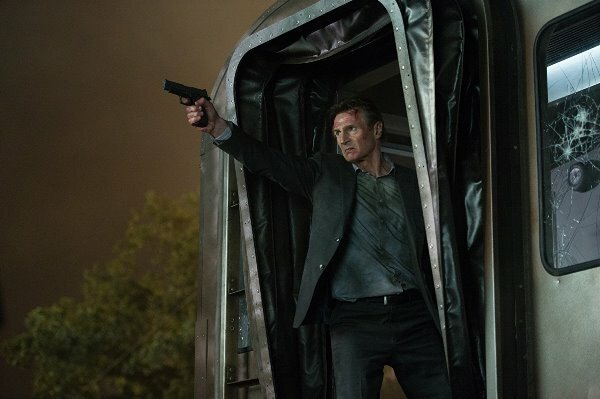 This year, we once again get to watch Neeson entertain us by doing what he does best on the big screen, in Jaume Collet-Serra’s The Commuter. 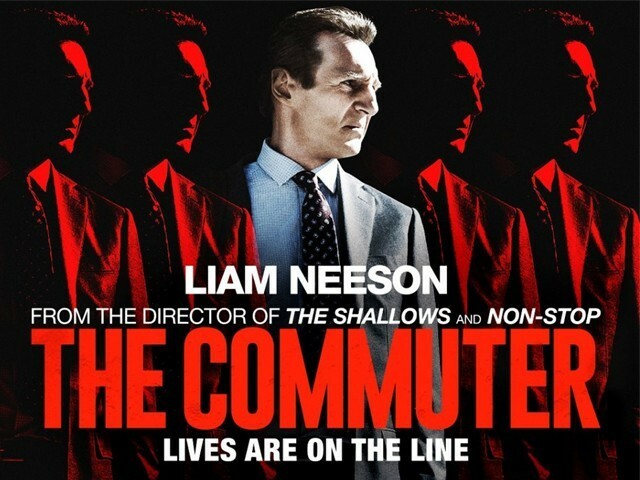 The movie follows an insurance salesman, Michael MacCauley (Neeson), who lives a simple life with his wife and son, with set routines like taking a commuter train to and from work. 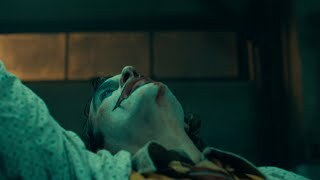 The plot of the film starts to develop the day Michael is laid off from his job, leaving him without means to provide for his family. 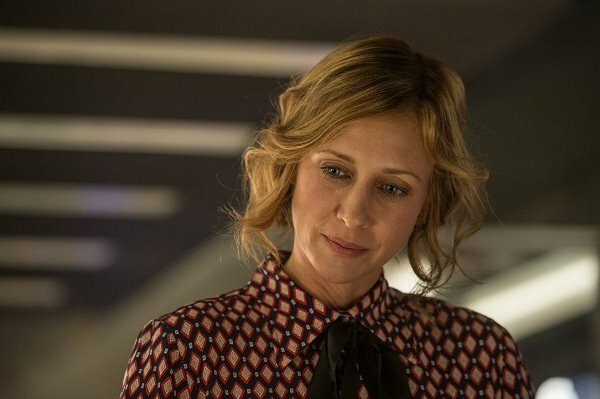 A devastated and melancholic Michael is riding the commuter train back home when he encounters Joanna (Vera Farmiga). During their conversation, Joanna offers him a hundred-thousand dollars if he is able to find a person on the train, with the only available information being the alias “Prynne”. As his quest furthers and things begin to unravel, Michael cannot get off the train, nor can he alert others around him of any impending danger, and thus begins a ride that could very well be his last one. 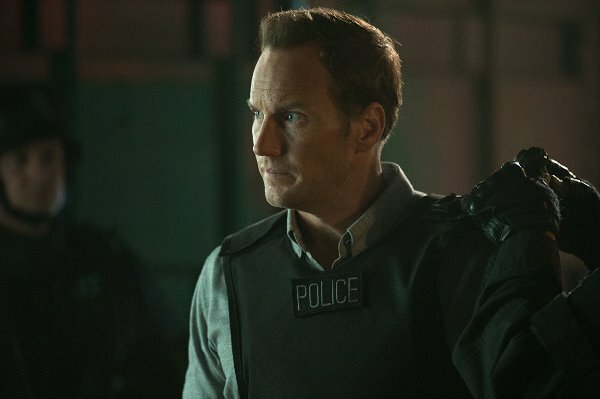 The movie has an incredibly talented cast, including Vera Farmiga (The Conjuring and Bates Motel), Patrick Wilson (The Conjuring 2 and Fargo), Sam Neill (Jurassic Park and Peaky Blinders) and Jonathan Banks (Breaking Bad and Better Call Saul). The entire cast does a great job, but it is Farmiga who steals the show and makes you wish she had more screen time. For an action movie, the action sequences were incredibly amazing, with some of the slow motion sequences being the most slick. However, although the movie does develop its characters, you don’t really connect with most of them. It feels like a chessboard, with one Queen (Neeson) surrounded by pawns (the rest of the cast). Don’t get me wrong, the cast itself was commendable, but there are moments where it feels like the director could have achieved a lot more with what he had. 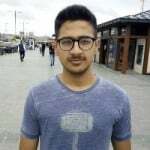 The movie is a thriller, yes, and it is also quite intense, but if you are a fan of the genre, then some of the thrills are predictable, as it seems to be driven by the same formula. A seasoned cinemagoer would easily be able to see right through the mysteries and the conspiracies that this movie has to offer. Nonetheless, it sure is a lot fun watching Neeson getting himself through tough situations which seem impossible to get out of. His character doesn’t just fight to survive, he has to make deductions and do a lot of problem solving as well, with the movie playing out like a puzzle he has to solve to survive and get back to his family. Neeson, who recently revealed that this would be his last action movie, is definitely the biggest asset for the film. Moreover, the way he’s kicking and punching at the age of 65 makes one wish he wasn’t done with the action genre just yet. 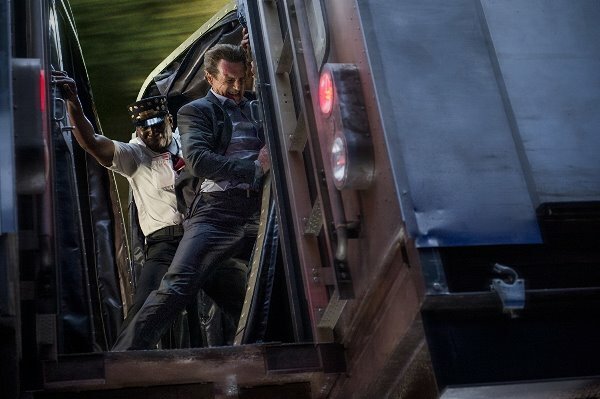 It is quite evident that this film draws similarities to one of Neeson’s previous hits, Non-Stop (2014), which put him in a similar situation, the only difference being that the mode of transport then was a Boeing 767 instead of a train. Yes, clearly not all of Neeson’s movies have a brilliant or a well-written plot. For every Taken there is a Taken 2 and Taken 3, and for every The Grey there is a Run All Night. 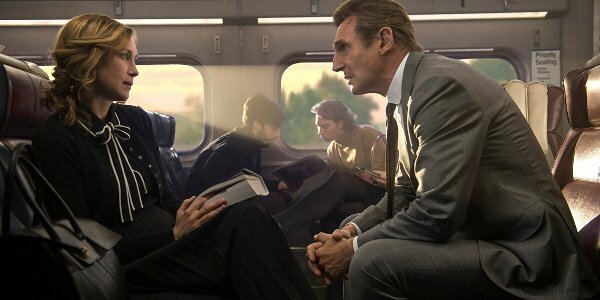 But regardless of how thin the plot may be, Neeson’s actioners always have high entertainment value, and the same can be said for The Commuter. 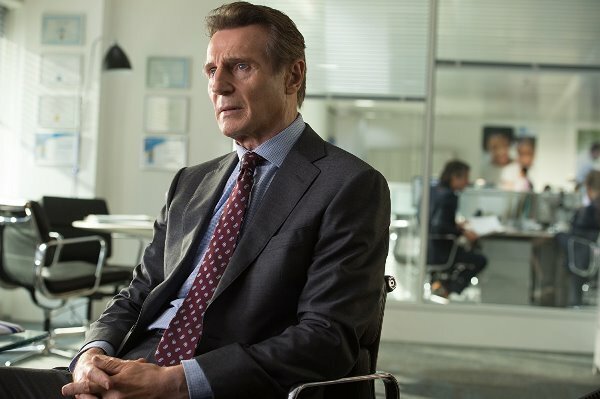 It is true that Neeson and Jaume Collet-Serra’s latest collaboration does not break any new ground or bring anything new to the action-thriller genre, but it has just enough to keep you on the edge of your seat. As a huge fan of Neeson, I cannot wait for yet another one of his action thrillers, even if the next one is titled ‘The Bus’ or ‘The Ferry’.